Join EPG and the University of London to discuss these ideas at the Education Innovation Conference on 23rd January 2018 in London. The last two years of the EIC have seen major delegations of Vice Chancellors, skills providers, leading public policy thinkers, edtech companies and investors from around the world attending to discuss collaboration in this area. This year’s conference will attract more than 200 attendees, with delegates from over a dozen countries already confirmed. For more information, call +44 (0) 20 7993 6851 / +91 (0) 89513 52072 or look on the bottom right of your screen now to chat live to one of our team. Please note our T&Cs. Workshop 1 – Informed Strategy Planning: using big data on real-time student demand: This session presents real-time insights into student interest for selected countries and cities and how to use these insights to target international students, but also to determine where to open new campuses around the globe. Full details. Workshop 2 – Doing Business in India: Aimed at UK and other universities targeting collaborations with India. Full details. Workshop 3 – Developing International Strategies for Universities from Emerging Markets: Especially for international delegates who would like to learn from the UK’s strong experience in setting up support for International Students. Full details. Venue: Beveridge Hall, Senate House, University of London, Malet Street, London, WC1E 7HU, UK. Providing high quality education with greater access needs investment, commitment, leadership and advocacy from each stakeholder. How can business, academia, edtech, policy makers and others come together to propel education innovation? Britain provides some of of the best education in the world. An education system that values independent thought, intelligence and free speech, and challenging dogma, continues to punch above its weight. But the number of UK universities in the top 100 THE rankings dropped from 12 to 10 in 2016. Institutions not recruiting enough high-quality staff from abroad due to increasing restrictions on visas, and Brexit may lead to a slipping away of foreign staff talent. Enthusiasm for the British brand internationally seems to have moderated. Is this because of Britain dropping, or Asian universities catching up? Is Brand Britain still a powerful attraction? Where is the sector headed? Join policy-makers and the leading names in education in this important debate. Dr. Sonal Minocha joined Bournemouth University in June 2014 as its lead for Global Engagement, which encompasses global recruitment, partnership, staff and student mobility and a global profile raising agenda for the university.Her appointment as Pro-Vice-Chancellor, Global Engagement brought with it a re-energised institutional approach towards comprehensive internationalisation and the creation of a long-term vision for a Global BU that is anchored to, and complementary to, the university’s wider strategic vision. Among the key areas of work Sonal has led at BU have been the fusing of employability with internationalisation through the pioneering Global Talent Programme to enhance student experience and employability, the innovative Hubs of Practice for a highly profiled presence in the Indian, Chinese and ASEAN markets and the successful Global Festival of Learning – a simultaneous celebration of learning across three continents. This early traction has been demonstrably recognised through the recent nomination for the Outstanding International Strategy category at the 2016 THELMA Awards.Sonal has more than ten years of senior management experience across the public and private sectors in global Higher Education, having begun her career as a business graduate before moving into an academic career which started at the UK’s University of Northumbria.Before joining BU, Sonal was Executive Dean at the University of Bedfordshire Business School. In this role, she led the largest faculty at the university (approximately £36 million) comprising a range of departments including the Law School. In this role, she incepted and implemented a practice-led vision for the faculty that resulted in a number of expressions of this vision. These included a refreshed new course portfolio, innovative ‘mini internships’ called practice weeks, a refreshed infrastructure with creative practice driven ‘wall art’, more than 30 new productive relationships with regional employers – thus reprofiling to establish a truly business-facing Business School.In her executive portfolio, Sonal led the design and development of an exciting new employability proposition for the university: Education + Experience = UOB Employability commitment leading to a number of awards for the framework and its projects including AGCAS awards for two consecutive years for the innovative ‘Hire Me’ scheme.Alongside strong academic credentials in the broad area of international commerce and business, Sonal holds a Fellowship of the RSA, Higher Education Academy and the Strategic Planning Society. Her main teaching and research interests lie in the areas of global higher education, graduate employability, management education and practice, strategic creativity and organisational learning. As well as management education, she has a special interest in film and related international creative industries and her work has been disseminated via a range of outlets including books, articles and refereed papers. Sonal’s practice expertise has led to the design, development and delivery of innovative programmes for a range of corporate and international clients throughout her career (including Harrods, Ridgeons, Basildon Hospital and Severstal). 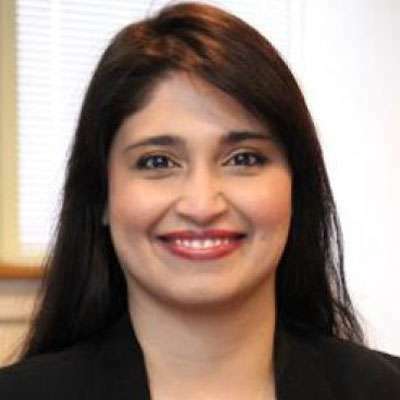 Sonal’s key external appointments include External Examiner at Ulster University, UKCISA Board of Trustees, International Academic Advisory Council for QS Conferences and Governor at Poole Hospitals NHS Trust. Sonal is a passionate advocate for innovative approaches to teaching and learning, internationalisation of the ‘home’ experience, close university-industry interaction for a brand of HE that is integrated with policy and practice – regionally, nationally and internationally. Panel discussion: What does education innovation mean to you? Dr. Joanna Newman is Chief Executive and Secretary General of the ACU. She joined the ACU in April 2017 and is responsible for fostering and promoting the aims of the ACU, as defined by its membership, in developing inter-Commonwealth relations in the field of higher education. The Director of the Education Directorate at the OECD gives a global perspective on education trends in this session, giving an overview of a number of topics we will cover throughout the day. The last PISA assessment of learning outcomes in science was in 2006, when the world was a very different place. Since then, technological innovation and disruption has accelerated. Digitalisation is democratising and empowering, but is it also homogenising and disempowering? The kinds of things that are easy to teach are now easy to automate, digitise or outsource. Half of all jobs in the industrialised world will be at risk from this. Digitalisation has narrowed or eradicated the first digital divide, but a second is emerging between those who embrace a technology-rich world and those who do not. What are the risks than increased digitalisation brings? What impacts does this have on the way teachers should teach, and how is this different than for previous generations? Andreas will cover a fascinating overview of the global education landscape in a data-rich presentation, with plenty of food for thought. Dr.Rajeev Singh has been appointed as the Director General, Indian Chamber of Commerce, Kolkata with effect from 1st September, 2006. Prior to his appointment as Director General, Dr. Singh was actively involved with the Confederation of Indian Industry (CII) for more than 5 years as Regional Director, posted in Chandigarh & Ahmedabad and subsequently in Kolkata. He has done extensive work in the fields of Central & State Policy Advocacy, Service Sector, Agro Business, Taxation and Bio-Technology. In a period spanning over 18 years, Dr.Singh began his career with Rajasthan Oil Federation as Deputy Manager. He was later associated with corporate houses like Arvind Mills Limited, etc. Dr.Singh has done his PhD in Management and has also been associated with academics as Professor in Management with Specialization in Marketing. Dr. Singh is a sports enthusiast and enjoys getting involved with social developmental activities. He is married with two children. Workshop: Doing Business in India. Doing business in India is getting easier. The education sector continues to offer incredible opportunities for foreign providers. But it has not yet opened up. The Foreign Providers Bill is not likely to pass, and there are significant challenges in finding appropriate Joint Ventures and true collaboration with UK and other foreign universities. The introduction of the education regulator HEERA was aimed at bringing together technical education regulator AICTE and higher education regulator UGC under one roof, has been shelved just months after being announced in 2017. Although 100% FDI is allowed in education under the automatic route, this is not so in a Society or Trust, and therefore has to be done through a for-profit Education Services Company. India does not have any specific law or regulation for regulating education offered online. Distance education has not taken off. How does a foreign university collaborate in India, including through collaboration levers like UKEIRI and Newton-Bhabha? What are the risks and opportunities, and how does one navigate the complex landscape? What are the untapped opportunities particularly in Tier 2 and Tier 3 cities? Hear from practitioners with several decades of experience in structuring partnerships in India. Special Drinks Reception hosted by the International Skill Development Corporation (ISDC), where they will be launching a new innovative International Research & Teaching Excellence Framework (IRTEF). IRTEF assesses the quality of research & teaching in higher education providers and differentiates quality over and above the baseline set by quality assurance. ISDC is a leading Education and Skill Development company with a vision of bridging the global skill gap. It imparts a set of Skill Development Activities through its structured plan and aims at Developing Skills for Tomorrow. It is one of the fastest growing education companies, with a global presence, over 12,000 students and over a million learners on board. In 2014, he was appointed as the 7th Chancellor of the University of Birmingham and was the first Indian born Chancellor of a Russell Group University in Great Britain. 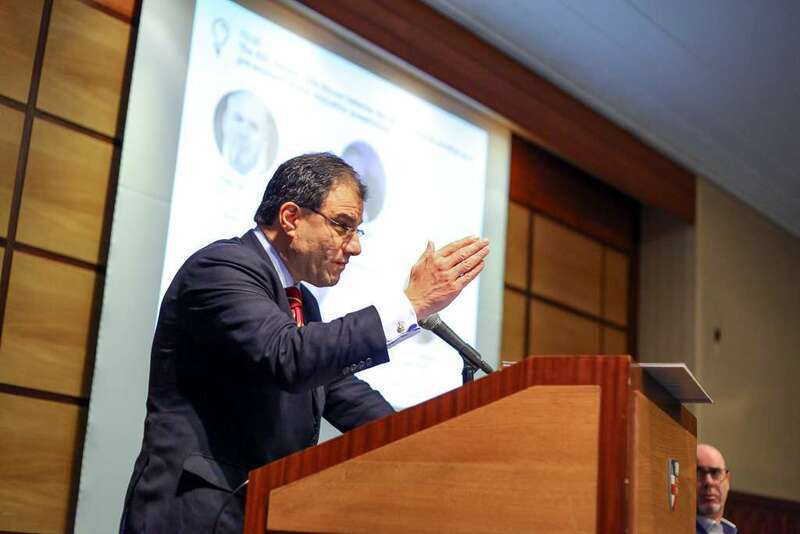 Karan is Senior Non-Executive Director of the Booker Group PLC, the FTSE 250 Company of Booker Prize fame; he is one of the first two visiting entrepreneurs at the University of Cambridge; he is a founding member of the Prime Minister of India’s Global Advisory Council. 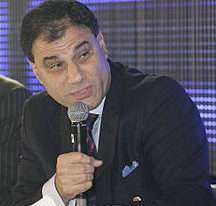 In 2006, Karan Bilimoria was appointed the Lord Bilimoria of Chelsea, making him the first ever Zoroastrian Parsi to sit in the House of Lords. In 2008 he was awarded the Pravasi Bhartiya Samman by the President of India. 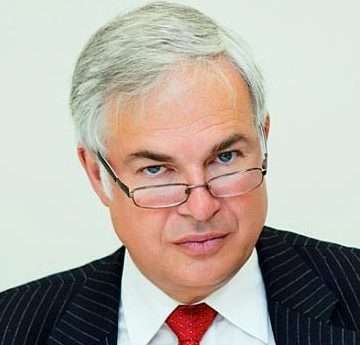 He is an honorary fellow of Sidney Sussex College Cambridge and Chairman of the Advisory Board of the Judge Business School, Cambridge University. He qualified as a Chartered Accountant with Ernst & Young and graduated in law from the University of Cambridge. He is also an alumnus of the Cranfield School of Management, the London Business School and the Harvard Business School. In 2015, Karan Bilimoria was appointed President of the UK Council for International Student Affairs (UKCISA). Taimur was until recently Partner at McKinsey and Company in Dubai and one of the founding members of their Pakistan office. He headed McKinsey’s Public, Social Sector, and Healthcare practices in Pakistan and co-headed their Education Practice in the Eastern Europe, Middle East and Africa region. The education reform work he led in Pakistan between 2011 and 2017 was recently quoted in The Economist as “reforming at a pace rarely seen anywhere in the world”, and includes several innovations including partnerships with the private sector, the use of data to drive system level decisions, and the re-engineering of curriculum and textbook development processes to be fit for purpose, all in a school system, which with 52,000 schools and 11 million students, is one of the largest, if not the largest in the world. The face of many of these reforms in the state of Punjab, across 10m students and 50,000 schools, has been Taimur Khan. He has applied many of these learnings, often against conventional development thinking, around the world, including in Asia and the Middle East. He gives an overview of the Pakistani system, the reforms that have been brought into place and how this ranks as one of the most significant exampels of education innovation in the world. I’m Jisc’s resident futurist. My job is to keep an eye open for emerging trends and new technologies, and see what we can do across the FE, HE and skills sector to exploit and embrace them – or mitigate against them.Prior to joining Jisc I set up a supercomputer centre for the Engineering and Physical Sciences Research Council (EPSRC), and have a particular interest in how we can share these kinds of capital intensive facilities between institutions and also with industry. You might think that being a futurist is all about jet packs and flying cars – and to an extent it is. However, I also spend a lot of my time looking out for things that are emerging from the research lab that we can trial or prototype.The idea is that some of these will go on to become part of Jisc’s portfolio of solutions. Sometimes these are commercial products, but there are also a lot of interesting things happening at colleges and universities that have wide applicability and are potentially transferable with a little central support. Jisc's resident futurist's job is to keep an eye open for emerging trends and new technologies, and see what we can do across the FE, HE and skills sector to exploit and embrace them - or mitigate against them. 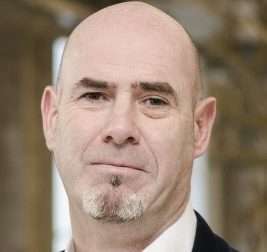 Prior to joining Jisc he set up a supercomputer centre for the Engineering and Physical Sciences Research Council (EPSRC), and has a particular interest in how we can share these kinds of capital intensive facilities between institutions and also with industry. Martin presents a fascinating view into the emerging trends in AI, big data, digital innovation and more. Thijs van Vugt is Director Analytics and Consulting Team at StudyPortals since 2015 and partner of iE&D Solutions BV since 2006. Some of his recent clients are: University of London, University of Nottingham, Karolinska Institute, University of Groningen, Utrecht University, Erasmus University Rotterdam, and Sciences Po. 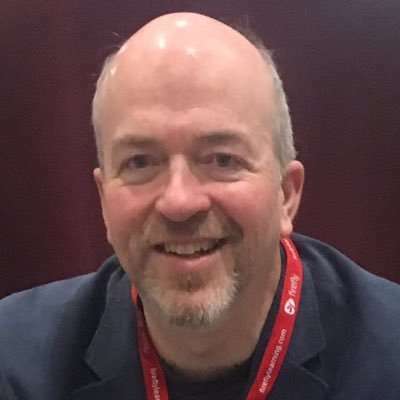 From 1989 until 2005 Thijs worked for Tilburg University (14 yrs; NL), the ERASMUS Bureau in Brussels and for Sheffield Hallam University (1.5 yrs; UK). Together with his business partner, René Lenssen, Thijs was partner & director of StudyWorld (Netherlands), the Netherlands’ leading student recruitment agency and one of two IELTS test centres in the Netherlands, from 2006 until 2009, when it was sold to Kilroy Education. 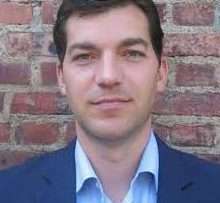 Thijs has a Master’s degree in Economics from Tilburg University, a post-graduate certificate in Public Management from Tias Business School, and a post-graduate certificate in Customer Relationship Management (CRM) from Beeckestijn Business School. Workshop: Informed Strategy Planning: Using big data on real-time student demand. International recruitment is becoming increasingly vital to universities across the world, and with TNE universities are increasingly playing a global role. But how does one decide where best to open a branch campus for those unable to travel for education? Using big data on student demand can help universities make an informed decision. Furthermore, as university budgets are getting tighter, university execs want justification on their investments. Adding to that increased competition in university marketing and international student recruitment, segmentation is getting more and more important. University marketers and recruiters need more insights into market opportunities so that they can target prospective students more precisely. Recently, as the student choice has moved online, study search behaviour data has become available providing real-time insights into future demand and supply by country of destination, subject area, and country of origin and even region and city of origin and destination. Using data visualisation, tools are now increasingly available. One of these tools is the StudyPortals’ Dashboard. About 30 million unique visitors use StudyPortals each year to find a study programme abroad. This grants insights on where these students are coming from, the top countries where they consider pursuing a degree abroad, and the subject areas they are most interested in. This data, generated by millions of users, has proven to be an accurate reflection and projection of the market for higher education. This session presents real-time insights into student interest for selected countries and cities and how to use these insights to target international students, but also to determine where to open new campuses around the globe. Nick Hillman has been the Director of HEPI since January 2014. He worked for the Rt Hon David Willetts MP, now Lord Willetts, the Minister for Universities and Science, from 2007 until the end of 2013, as Chief of Staff and then Special Adviser in the Department for Business, Innovation and Skills. Previously, he was a History teacher and worked at the Association of British Insurers. At the 2010 general election, he was the runner-up in Cambridge. 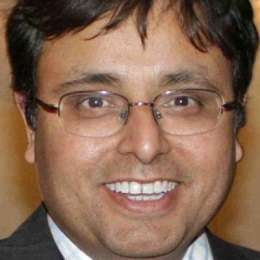 He has written for a range of think tanks and journals. 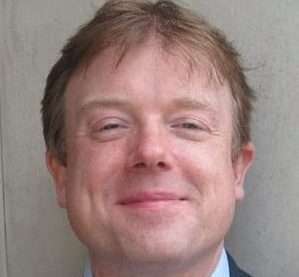 His more recent writings include articles on the Coalition’s higher education reforms for the Oxford Review of Education (2016), on access to schools and selective universities for Higher Education Review (2014) and on the fifty-year history of student loans for Contemporary British History (2013). He also wrote the authoritative account of being a special adviser for the Institute of Government (2014). His recent pamphlets for HEPI include an assessment of the impact of students in the general election of 2015, a comparison of the UK and German higher education system, a piece on the educational underachievement of young men and a study on students’ attitudes to free speech. David Lock has had a varied career in international higher education and university leadership. As Director of International Projects at the UK’s Leadership Foundation for Higher Education, David was responsible for instigating and delivering projects with over 30 different countries, some at Governmental level. Projects have included major programmes for Rectors and Ministry Officials to implement national HE reform and autonomy strategies over several years and building partnerships between universities in different countries. Until October 2007 David was the founding Registrar and Acting Chief Executive of the British University in Dubai where he structured, built and then led the University following its legal creation by the Ruler of Dubai as a not-for-profit provider of Higher Education to UK standards. Prior to going to Dubai David was Secretary to the University of Huddersfield and Registrar and Secretary to the University of Hull in the UK for a total of 14 years. A teacher and Chartered Secretary by background, David has served on a number of international bodies and undertaken a range of consultancy assignments including international development and UK HE governance projects. He is Chairman of the Gulf Education Conference and serves on the International Advisory Committee of the British Council. He has been appointed Secretary General of the Magna Charta Observatory in September 2014. Today’s learning economy is demanding change in education systems around the globe at an accelerated pace. For the social fabric to hold and support inclusive global growth, we will need key program features supplied by education’s multiple stakeholders. Join an interactive and engaging discussion with experts in higher and further education field who are responding to the demand and building education’s framework for the lifelong learning skills required of the workforce. They’ll share their experiences in setting up incubators, aligning stakeholders, utilising technology, building adaptive learning tools, upskilling higher education’s workforce, driving higher education’s outreach to support diversity and inclusion in the learning economy, and more. Richard Everitt is Director Education, British Council India, responsible for the strategic direction of the education portfolio. Richard studied at the University of Leeds, the University of South Florida and the John’s Hopkins University (School of Advanced International Studies). Richard is a member of the Chartered Institute of Marketing and The Norwich Society and given the 2012 Outstanding Achievement Award from the Institute of International Education. He is Chair of the International Education Research Consortium. Other British Council postings include: USA as Deputy Director; China -managing the HSBC funded UK-China School Links Programme; Colombia, heading arts, education, governance, and creative industries projects and Poland – responsible for a European sports education programme. Richard previously worked at Channel 5 Television, London and as a teacher of English in Uganda. Nabil Sultan is Professor and Dean of the College of Business Administration at A’Sharqiyah University, Ibra, Oman. Prior to that he was Professor of Innovation Management and Leadership (a Personal Chair from the University of Essex) and Head of Division of Management, Business and Enterprise at University Campus Suffolk (UCS) which is jointly owned by two leading British Universities: University of East Anglia and the University of Essex. He is internationally recognised for his publications in the fields of information management, knowledge management, leadership cloud computing, renewable energy and Arab Gulf’s socio–economic affairs. He is UK-educated and has 28 years of work experience, 17 years of which were in British higher education. He has developed strong skills in undergraduate and postgraduate curriculum development, accreditation, research and developing people’s skills and careers and widening community participation. He has extensive knowledge of the Middle East (especially the Arabian peninsula and Gulf region) gained through experience and research and demonstrated through journal and book writings. During his tenure at UCS, Professor Sultan was responsible for the leadership and management of this division including staff, budget, development of curriculum, enterprise, the delivery of recruitment and retention targets and quality standards and the development of relevant networks within and beyond the university. He was also Director of Research and PhD Provision where he was responsible for promoting the Business School’s multi-disciplinary research in the areas of management, business and enterprise and the vetting of prospective PhD students. Moreover, he was Director (and founder) of the Middle East Research Centre (MERC) and Editor-in-Chief (and founder) of the peer-reviewed journal “Review of Management and Enterprise Studies” (REAMS). Professor Sultan is also a Visiting Professor at the Servant-Leadership Centre for Research and Education at Vrije Universiteit, Amsterdam, The Netherlands. Vrije Universiteit is one of Europe’s prestigious universities and is ranked 136th in the Times Higher Education World University Rankings of 2014/15. Since 1999 and up to 2012 Professor Sultan worked for Liverpool Hope University and was Award Director of its International MBA. During that tenure, he was awarded the Rector’s High Commendation for Teaching Excellence Award (2009) and Hope Business School’s Research Excellence Award (2010 – 2011). Full Professor of the Faculty of Education, at the University of Zaragoza. She is a permanent researcher of the UNESCO Chair on Values ​​and Communication, Director of the first Juan de Lanuza Educational Innovation Chair at her university, and is Director of the Consolidated Research Group Coaching and entrepreneurship for the personal and professional development of the Government of Aragon (code 262121/1). She is participating in two R&D projects with the Ministry of Education and Science, as well as in a European project. She directs the Master’s Degree in Social-Emotional Education for personal and professional development and the University Master’s Degree in Lifelong Learning: Initiation to Research at the Faculty of Education, both from the University of Zaragoza. She also has the academic direction of the Integral Model of Educational Coaching in expansion in Aragón, Spain and Europe. She is an Education Expert in the European Union. She is a founding partner of the Coaching Education Education Association, and currently President. She is a personal and executive coach (CA172 by AECOP) and systemic teams (by ICF). She won the prize for Educational Innovation from the Social Council of the University of Zaragoza in 2012 and on the use of innovative technologies in training 2016. She has been shortlisted as one of the top ten teachers in Spain in 2017, the only one from Zaragoza to gain this accolade. 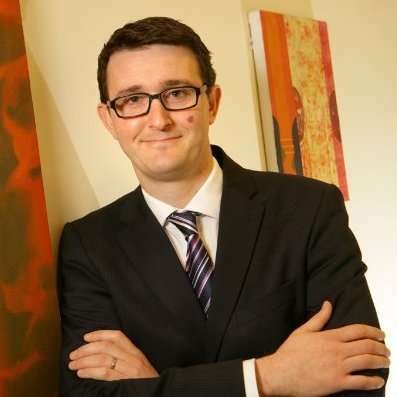 Robert Carthy is BUILA’s Lead for Regional Interest Groups and Training. He is also Director of the International Development Service at Northumbria University. He leads a team of over 80 staff based in six locations across the globe, working on the recruitment and admissions of International Students, development of International Partnerships, and student mobility. 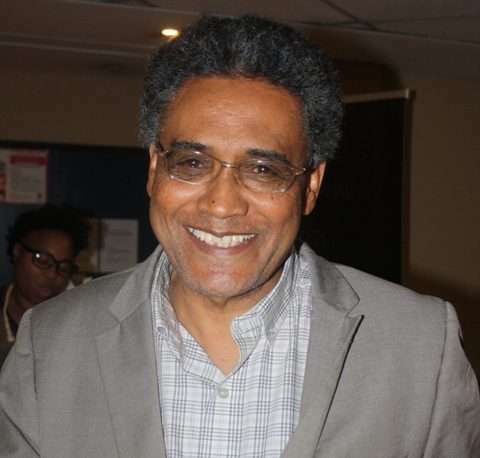 In addition he has oversight of the University’s Language Centre, delivering in-session and pre-sessional English, as well as credit-bearing modern Foreign languages. Rob joined Northumbria University in 2003 and moved to the International Office in 2005. 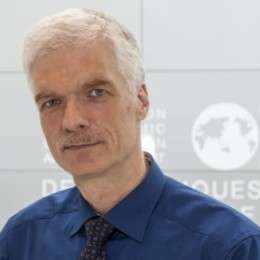 He has held various roles in the team since then, including Partnerships Manager and Deputy Director, and took over as the Director of International Development in November 2013. He has held executive roles on BUTEX, the UK-Saudi Interest Group, and has worked closely with the BUILA senior team. He was elected onto the BUILA executive in 2016. Throughout her career, Dr Mary Stiasny has worked tirelessly to both deliver and promote quality accessible education across the world. Prior to becoming Pro Vice-Chancellor (International), Dr Stiasny provided strategic direction and leadership at the Institute of Education, in her capacity as Pro-Director with responsibility for Learning, Teaching and International. Working life for Dr Stiasny began as a secondary school teacher in West London. 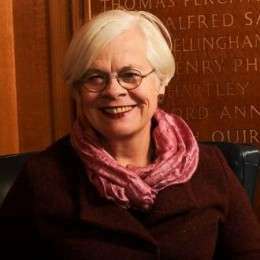 She then joined Goldsmiths College, where she was involved in initial teacher education, becoming Director of PGCE and Deputy Head of the Department of Educational Studies. This was followed by a move to Oxford Brookes University, where she was appointed Deputy Head of the School of Education. She then returned to London, to become Head of the School of Education and Training at the University of Greenwich. Following this, she spent four years at the British Council as Director of Education and Training before joining the Institute of Education. Dr Stiasny’s practical and strategic experience in education spans across a wide range of roles, including providing consultancy for a number of educational projects that have attracted external funding, and as an external examiner. Sakate Khaitan is the senior partner at Khaitan Legal Associates. Sakate divides his time between London and Mumbai. Sakate Khaitan heads the corporate M&A, funds, restructuring and insurance practice at Khaitan Legal Associates. Sakate advises clients on inward investments into India and on an array of India-focused cross border transactions. 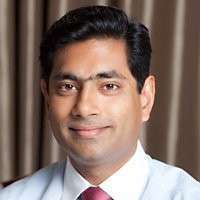 Having started his career in litigation, Sakate has over 11 years of litigation experience advising various clients in their disputes that included high profile joint venture disputes, tax disputes and disputes with regulators. Sakate also serves on the boards of several companies as a non-executive director, lending his legal and business acumen to businesses around the globe. Sakate assists clients with pragmatic and commercially sound advice on dealing with Indian rules and regulations. His clients include multinationals, private equity funds, financial institutions, fund managers, and HNIs. 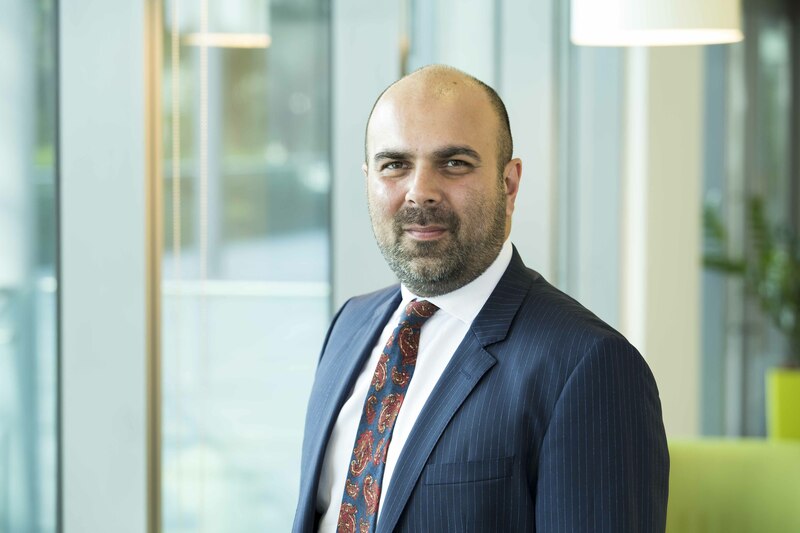 In his experience that spans over two decades Sakate Khaitan demonstrates a deep commercial understanding of several industry sectors and significant transactional insights that offer immense value to the client. 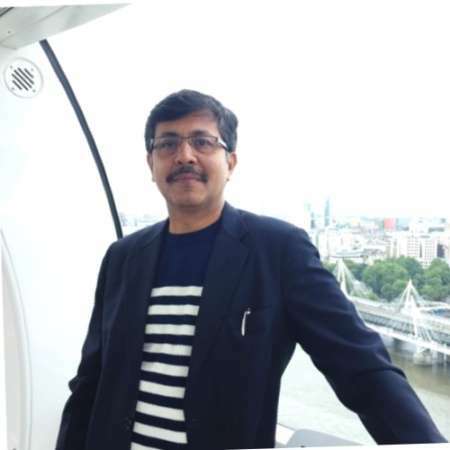 Sakate Khaitan is the alumnus of London Business School (“LBS”) and is also the co-founder of the India Business Forum (“IBF”) at LBS. The IBF is a platform that was created to build awareness and facilitate discussions on and encourage cross border investments to/from India. Sakate Khaitan is dual qualified and is a member of the Bar Council of India and is also admitted as a solicitor of the Supreme Court of England and Wales. However, he exclusively practices Indian law.